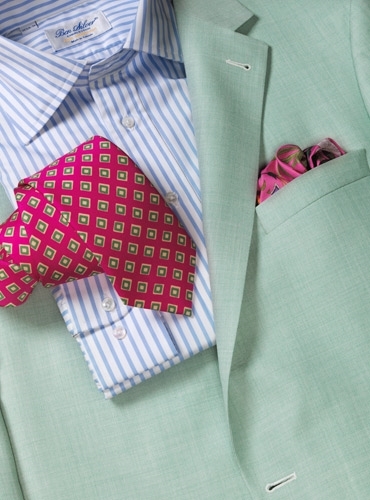 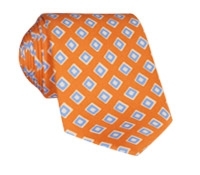 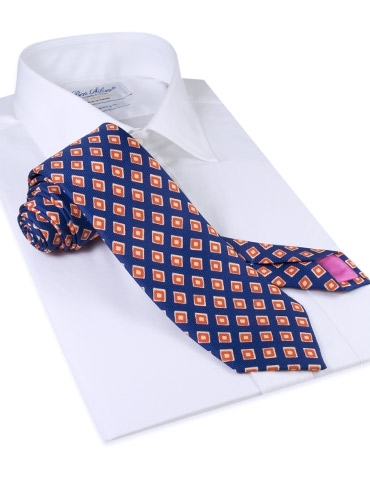 Beautifully printed English silk neckties with a diamond motif, entirely hand sewn in England. 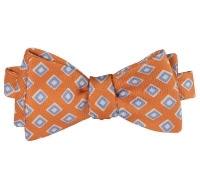 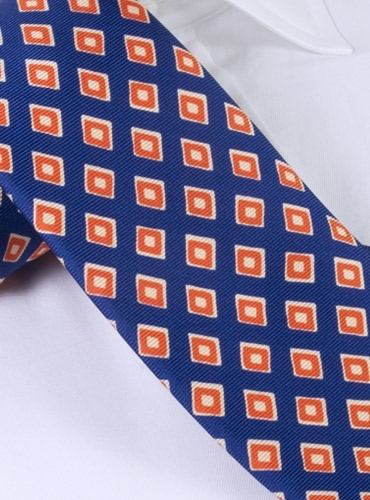 Available in five colorways, shown here in C-navy ground with tangerine diamond motif. 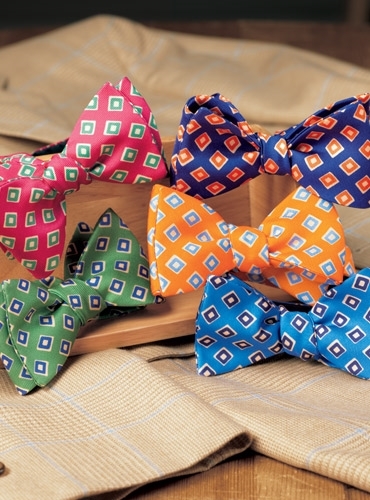 Also available in: A-fuchsia with fern; B-fern with navy; D-tangerine with azure; E-cobalt with navy. 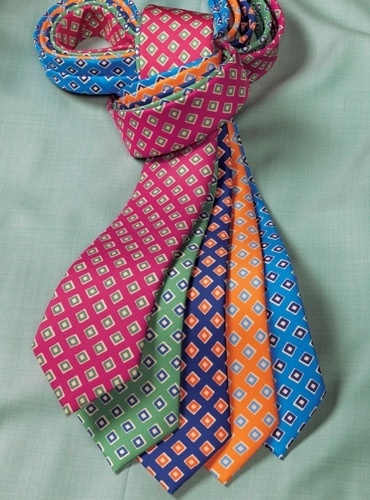 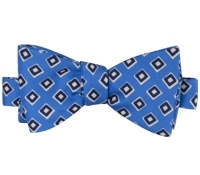 Each silk is also available as a to-be-tied bow.